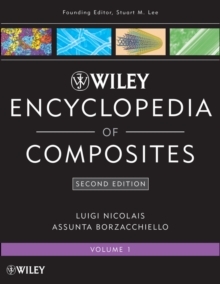 Written by prominent international experts from industry and academia, the Wiley Encyclopedia of Composites, Second Edition presents over 260 new and revised articles addressing the new technological advances in properties, processing, formulation, design, analysis, evaluation, manufacture, testing, and reliability of composites. The entire range of industrial applications of composites is covered. The Encyclopedia is an invaluable resource for researchers in both library and professional settings and provides information about composite materials and related processing technologies.